The Memor? leverages industry standard operating systems, a large on board memory and a user accessible SD card slot to backup data and manage large databases. The Memor captures tomorrow?s bar codes today including GS1 DataBar?. A 2D imager enables a wide range of Linear, Stacked, 2D and direct part marked bar codes. Or a laser scanner offers Datalogic?s patented 'Green Spot' with good read feedback for error proof reads of linear codes. The Memor LAN radio combines with a color touch screen display, microphone, speaker, user friendly numeric keypad. Ergonomic, compact and robust Microsoft Windows Mobile® 6.1 or Windows CE 5.0 Summit embedded IEEE 802.11 abg radio with CCX V4 connectivity and security Bluetooth® wireless communications Laser with Green Spot patented good read confirmation Wide aspect 2D imager 128 MB RAM / 256 MB Flash memory XScale? 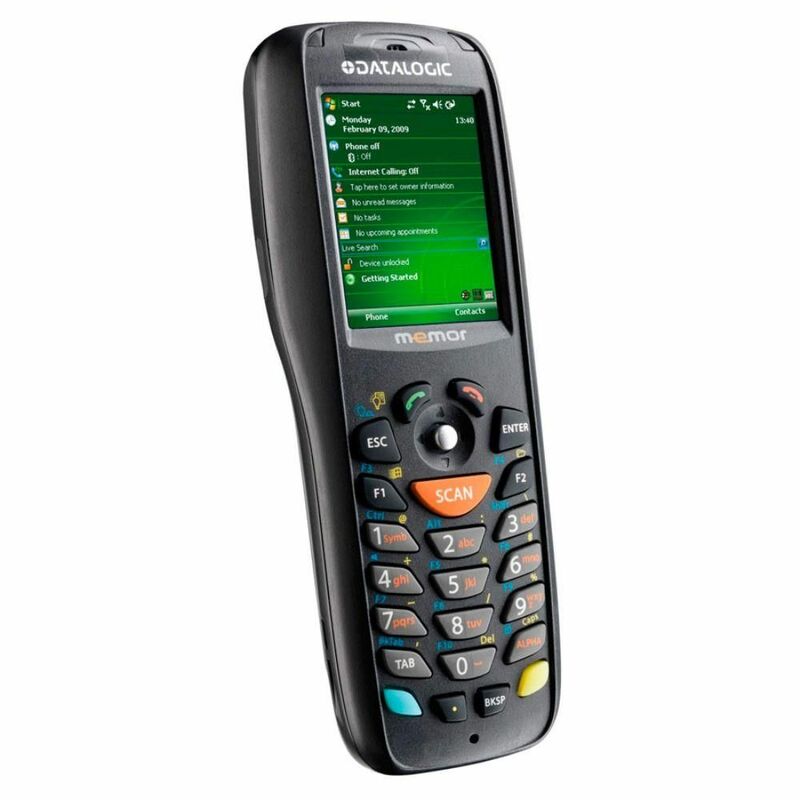 PXA 310 @ 624MHz processor User accessible micro SD memory slot Ruggedized with 1.2 m (4 ft) drop to concrete resistance and IP54 protection class Wavelink Avalanche® device management.